Both the U.S. Coast Guard Auxiliary and the United States Power Squadrons have certified vessel examiners who will perform a free Vessel Safety Check (“VSC”) at your boat, at a time of mutual convenience. There is no charge, and no consequences if you don’t pass. 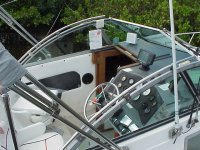 Our goal is simply to help make boating as safe as possible for you, your family and your friends, through education. The content below is courtesy of the United States Coast Guard Auxiliary. To schedule a VSC, email VSC@GSBPS.org and one of our Certified Examiners will contact you within 2 business days. What is checked in a VSC? 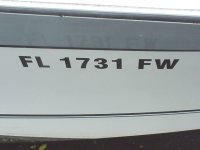 The boat’s registration number must be permanently attached to each side of the forward half of the boat They must be plain, vertical, block characters, not less than three (3) inches high, and in a color contrasting with the background. A space or hyphen must separate the letters from the numbers. Place State tax sticker according to State policy. 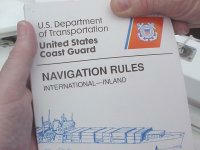 Registration or Documentation papers must be on board and available. Documentation numbers must be permanently marked on a visible part of the interior structure. The documented boat’s name and hailing port must be displayed on the exterior hull in letters not less than 4 inches in height. To be documented a boat must be 5 net tons or greater. Acceptable PFDs (also known as Life Jackets) must be U.S. Coast Guard approved, in good serviceable condition, and of suitable size for the each person on the boat. 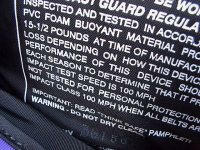 Children must have properly fitted PFDs designed for children. Wearable PFDs shall be “readily accessible.” Throwable devices shall be “immediately available.” PFDs shall NOT be stored in unopened plastic packaging. 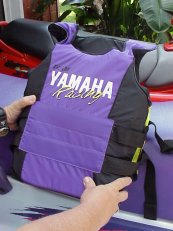 For Personal Watercraft riders, the PFD must be worn and indicate an impact rating. Boats 16 Feet or longer, must also have one Type IV. 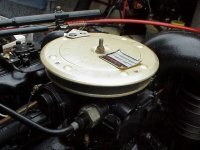 Boats with closed fuel tank compartments built after 1 August 1978 must meet requirements by displaying a “certificate of compliance.” Boats built before that date must have either natural or powered ventilation in the fuel tank compartment. 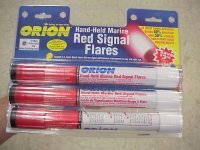 All boats must be able to display navigation lights between sunset and sunrise and in conditions of reduced visibility. 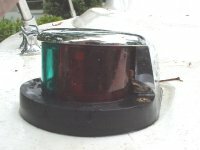 Boats 16 feet or more in length must have properly installed, working navigation lights and an all-around anchor light capable of being lit independently from the red/green/white “running” lights. Boats 26 feet and over with a machinery compartment must display an oily waste “pollution” placard. Boats 26 feet and over in length must display a “MARPOL” trash placard. Boats 40 feet and over must also display a written trash disposal plan. 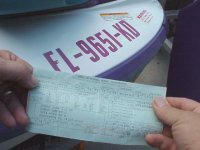 These requirements must be met before the “Vessel Safety Check” decal can be awarded. A boat must meet the requirements of the state in which it is being examined.Contact your local marine law enforcement agency. The electrical system – Must be protected by fuses or manual reset circuit breakers. Switches and fuse panels must be protected from rain or water spray. 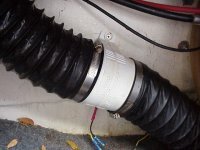 Wiring must be in good condition, properly installed and with no exposed areas or deteriorated insulation. 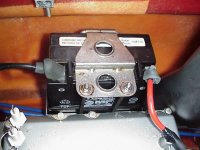 Batteries must be secured and terminals covered to prevent accidental arcing.. 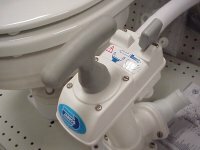 If installed, self-circling or kill switch mechanism must be in proper working order. 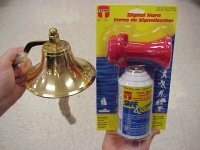 All PWCs require an operating self circling or kill switch mechanism. 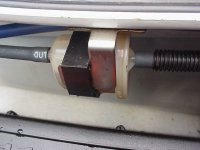 Fuel Systems – Portable fuel tanks (normally 7 gallon capacity or less) must be constructed of non-breakable material and free of corrosion and leaks. All vents must be capable of being closed. The tank must be secured and have a vapor-tight, leak-proof cap. 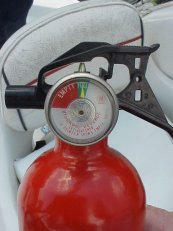 Each permanent fuel tank must be properly ventilated. What is a Vessel Safety Check? Both the U.S. Coast Guard Auxiliary and the United States Power Squadrons have certified vessel examiners who will perform a free Vessel Safety Check (“VSC”) at your boat, at a time of mutual convenience. There is no charge, and no consequences if you don’t pass. 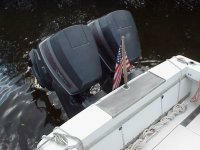 Our goal is simply to help make boating as safe as possible for you, your family and your friends, through education. Personal pleasure craft only.